Take a look below for information about many of the value-added services we provide! Lori Thompson has been our store designer for the past 21 years. Lori would be happy to assist you with the selection of your window coverings. By helping you identify your functional needs, and then explore the design possibilities in fabric, texture, color and style, she can help you make the perfect selection among the wide range of products available. Let us do the installation and make your life easy! Our experienced staff uses professional techniques and equipment on every installation. 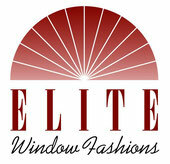 They're fully trained to properly measure and install virtually any window covering. Let us do the measuring and installation and make your life easy! Our experienced staff uses professional techniques and equipment on every measuring and installation project. They're fully trained to properly measure and install virtually any window covering. Got a problem with one of your window coverings? Our experienced staff can repair your window coverings quickly and professionally. Call on us any time to fill your repair needs, whether you purchased your product from us or from another dealer. We're here to help!